QPR left it late to claim a share of the spoils against Barnsley on Tuesday night, as Luke Freeman’s stunning 87th minute equaliser handed Ian Holloway’s side a plucky point in South Yorkshire. Freeman’s outrageous long-range effort cancelled out Harvey Barnes’ equally impressive first-half goal, as honours ended even at Oakwell. Barnes’ 20th minute strike, a fantastic curling effort from fully 20-yards, looked to have settled a game of few clear-cut chances, but Rangers – after an improved second half display – salvaged a deserved point thanks to Freeman’s blockbuster. Holloway made three changes to the Hoops’ starting XI following Saturday’s 0-0 draw at home to Burton Albion. 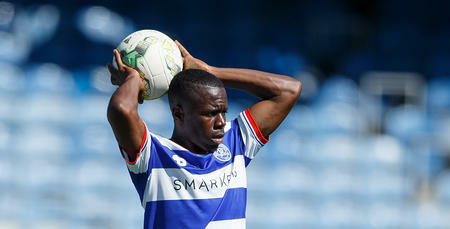 Steven Caulker, Massimo Luongo and Bright Osayi-Samuel – the latter making his full QPR debut – started, with Darnell Furlong, Yeni Ngbakoto and Conor Washington missing out. Alex Smithies started in goal, behind a back four of Alex Baptiste, Caulker, Jack Robinson and Jake Bidwell. Skipper Luongo was named alongside former Tykes star Josh Scowen and Freeman in a three-man midfield, with Osayi-Samuel and Pawel Wszolek providing support for Jamie Mackie in attack. On a misty night in South Yorkshire, Rangers – lining up in a 4-3-3 formation – settled well. Indeed, it was the R’s who created the first opportunity of the game on the quarter hour, when Bidwell raced to the by-line and pulled the ball back to Wszolek, who saw his header saved by Adam Davies. It was the hosts, however, who broke the deadlock on 20 minutes, courtesy of a stunning strike from distance. Arriving onto a loose ball, Barnes curled an unstoppable right-footed shot into the top corner from fully 20-yards, giving Smithies absolutely no chance. Buoyed by their goal, the Tykes almost made it two on 36 minutes, but Adam Jackson’s header from an Adam Hammill free-kick looped just wide. Rangers were second-best by now and headed into the break a goal down. Holloway reacted to his sides’ below-par first half display by making a change at the break, introducing Washington at the expense of Osayi-Samuel, whilst the hosts replaced goalscorer Barnes with Tom Bradshaw. Now deploying a 4-4-2 formation, Rangers began the second period on the front foot, creating the first chance of the half, when Bidwell’s speculative right-footed volley flew inches over the bar. Moments later, Mackie volleyed a half-chance over the crossbar, before the action swung to the other end, with Ike Ugbo seeing his low drive well saved by Smithies. Rangers continued to ask questions of the Tykes rearguard, with Scowen heading over Freeman’s 64th minute corner. A minute later, Luongo appeared to be brushed aside in the box by George Moncur, but despite protestations from the Australian and his team-mates, the referee waved away the appeals. Smithies had to be at his agile best to tip Hammill’s goal-bound half-volley soon after, as Barnsley provided a threat on the counter-attack. But the best chance of the half fell the way of Wszolek on 68 minutes, with the Polish wide-man spurning a golden opportunity midway through the second period. Arriving on to Freeman’s pass, the R’s winger was wasteful with his effort, squandering a fantastic chance to draw Rangers level. Holloway made his second change of the evening with 17 minutes to play, withdrawing Caulker at the expense of Matt Smith. A couple of minutes later, Kazenga LuaLua replaced Mackie. Smith toe-poked a shot on target six minutes from time which Davies saved with ease, but there was nothing the Tykes keeper could do to prevent an R’s equaliser on 87 minutes. Freeman created space for himself 25-yards from goal and fired an unstoppable shot into the foot of the net, to draw the Hoops level. It was a stunning strike and one worthy of the R’s improved second half display, as the Hoops headed back to the capital with a hardworking point. 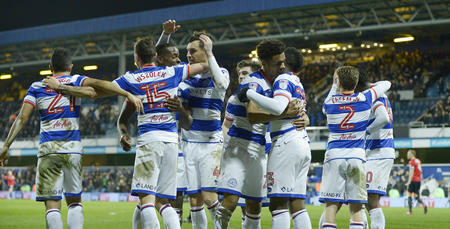 WATCH highlights from QPR's 1-1 draw against Barnsley on Tuesday evening.